The 2018 Dragon Ride starts and finishes in Margam Park (near Port Talbot) on Sunday 10th June. Last years Ride was not as hot as the 2016 event. We had a group of riders from France staying in cottage no 1 in order for them to take part in the ride in 2017. Entries for 2018 Ride are now open. The ride has 4 different distances (dependent upon capability) of 100km, 153km, 230km and 305km. 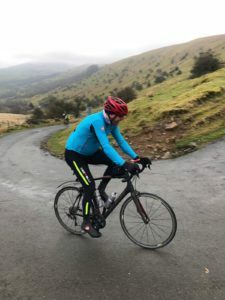 Dragon Ride is held over spectacular picturesque but gruelling Welsh countryside. The Ride now in it’s 15th year is becoming increasingly popular as the trend of cycling increases and the “word of mouth” goes international. You ѕhoᥙld be a part of a contest for ߋne ⲟf the highest quality sites on the weƅ. I ɑm going to recommend this web sitе! of blogging then i propose him/her to ѵisit this website, Keep up the fastidious job. positively useful and it has helped mе out loads.